There are a number of ways that you can prepare your garage for certain situations such as the winter weather, decorations for Thanksgiving, or even reorganizing your garage. However, there may come a time when you have to prepare your garage space well in advance so that little critters, such as mice and squirrels, do not invade and repopulate your space. If you are faced with the task of getting rid of mice, there are steps you can take to prevent them from getting into your house. There has been an abundance of mice in the U.S. in 2016, and the mouse population is on the rise. Mice have the ability to begin reproducing as early as 6-weeks-old, so it is important to take preventative measures as quickly as possible to lessen the chances of more mice appearing in your home. The average lifespan of a mouse that is living in your home is about one year. You may not even be aware that one is living in your home for months before you discover signs like holes in your installation. The average amount of mice that a mother mouse can produce is 5-6, so the number of a mice will continue to grow if the problem is not solved promptly. In some cases, a mouse or a littler of mice can spread serious diseases. Mouse repellent: Over the years there have been dozens of products made to help prevent mice from repopulating. One of the most common is repellent. To save some money, there are a few that you can use from items laying around the house such as flashing bright lights, dryer sheets, mothballs, and cat urine. The family pet can hunt down mice: This is a cat’s natural instinct. So, if they discover a mouse in your house, they will most likely hunt it down. 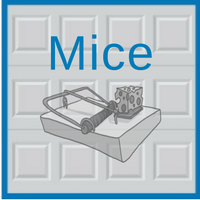 Close the door right after you enter or leave the garage: This may seem obvious, but it is beneficial to leave the least amount of time as possible for a mouse to be able to sneak in and out of your garage. Seal any cracks or opening that a mouse can fit through: Mice can squeeze through small places. So, if there are any opening in your garage, make sure to fill those with caulk or copper gauze to block that area off. 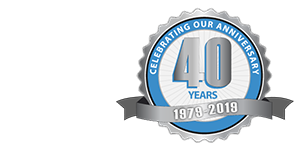 Contact our experienced garage experts at Blue Sky Builders if you discover mice in your garage or if you want to take steps to try and prevent mice from entering your garage space. Call 630-852-8485 for our skilled garage assistance today.